In his official response to the attacks of September 11, George W. Bush invoked the Crusades, tapping into a centuries-long history of fear and aggression. The West's longstanding perception of Islam as a threat has taken on new and more complex implications in the twenty-first century, as years of migration and resulting demographic shifts have brought the "enemy" within Western borders. Virulent opposition to the planned construction of an Islamic center near the 9/11 attack site in New York City reveals much about the intensity of public sentiments simmering just below the surface. As the United States and countries across Europe struggle with a resurgence of unexamined fear and antagonism, often directed against their own citizens, the imperative for better understanding could not be greater. 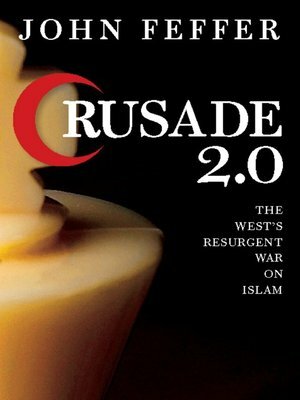 Crusade 2.0 examines the resurgence of anti-Islamic sentiment in the West and its global implications. John Feffer discusses the influence of three "unfinished wars"—the Crusades, the Cold War, and the current "war on terror." He presents a timely, concise and provocative look at current events in the context of historical trends and goes beyond a "clash of civilizations" critique to offer concrete ways to defuse the ticking bomb of Islamophobia. John Feffer is co-director of Foreign Policy in Focus at the Institute for Policy Studies in Washington, DC. He is the author of several books, including North Korea, South Korea. His essays have been published in The New York Times, The Boston Globe, and elsewhere; he has been interviewed by CNN, MSNBC, Al Jazeera, Democracy Now! and other international news media.